In a viral post which has been shared over 6000 times, a mother recounted how her son was knocked by a cyclist riding fast on his bicycle this morning at the Serangoon Park Connector. The boy aged 3, sustained injuries to his mouth and also lost a tooth due to the accident. The mother, Kaslyn Tan, shared how the the cyclist dismounted after the accident, apologised to the father of the boy for knocking him and offered $10 as compensation. When the father who was in shock scolded him for trivialising the accident, the cyclist offered “a few more small notes”. The boy was taken to the KK Women’s & Children’s Hospital in an ambulance, where he had to have stitches for the wound in his mouth. An X-ray did not reveal any further permanent injury. 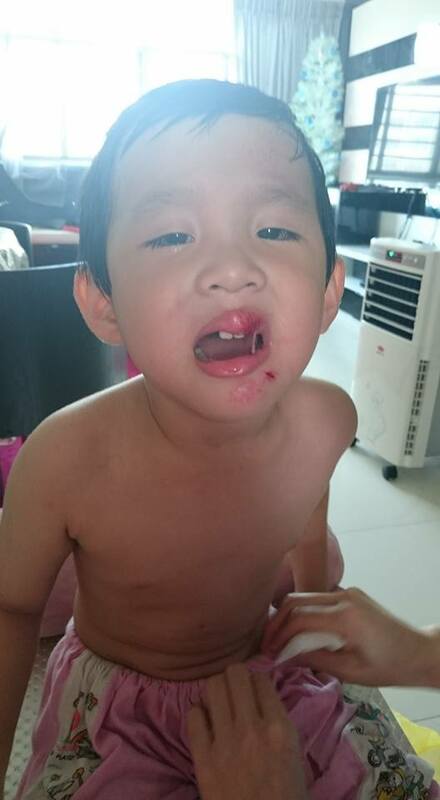 Ms Tan said that her son is “unable to sleep or talk properly due to the pain, swellings, saliva/blood flowing out uncontrollably, and stitches”. The boy is also unable to eat or chew food, according to the mother. As there were others in the Park who saw the accident happen and came forward to help the father of the boy, Mrs Tan is appealing for more information on the cyclist. 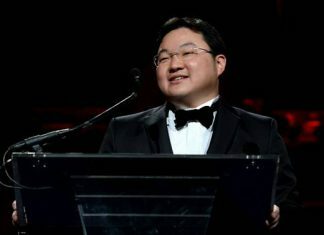 “It is my son today, and can be anyone tomorrow,” Ms Tan said.